Zhucheng Guotai Food Machinery Co., Ltd.
Henan Mertone Mechanical Equipment Co., Ltd.
Chicken meat grinding and mixing machine/pork meat chopping and mixing machine /meat grinder and blender machine Specifications this machien is used to cut and mix the food raw materials 1.good quality with stainless steel 2.high performance Details information: Chop-mixer using high speed rotating knife to cut the pieces, broken meat, fat and other main raw material into ground meat or meat mud, at the same thime mixing with other raw materials such as water, bomeol, accessories to stir together into a uniform stuff. the knife has high rotation speed shorten the running time, reduce material heat, and keep the stuffing natural color, elastic. The machine is widely used in meat, vegetables , seafood and flavoring, etc. 3. Before cleaning the machine, turn off the machine and cut down the power, remove the cover and then can clean the cutter. Please note that do not allow the water flow into the bearing and motor. 1.We provide our clients with valuable advice and guidance according to clients need, aiming to save the time costs and the capital costs. 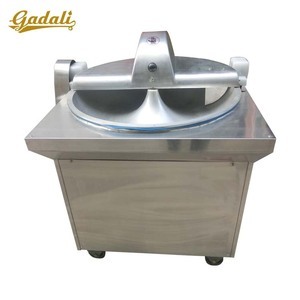 After process by meat bowl cutter, the meat will be on the greatest degree of emulsified, elasticity and delicate degrees. we could add your company logo or change the material or enlarge the size of the machine to meet your requirements. we will solve any problem which happens during your process of using, also we will hlep you to repaired the machine. 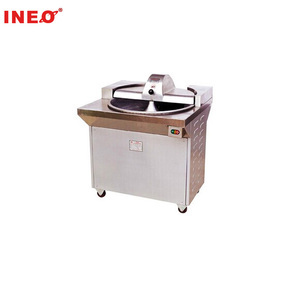 Neweek electrical meat bone divider chicken chopping machine 1.Electric chicken meat bone chopping machine is used for cutting chicken meat ,duck ,goose ,beef etc,. instead of doing a knife to cut the chicken, artificial chicken chop low efficiency, health conditions low, high labor costs. 3. Special for meat processing factory, first equipment for chicken slaughter factory. Zhaoqing High-Tech Zone Zhaohui Food Machinery Co., Ltd.
Machine breaking caused by machine itself design defect , we are responsible for it . we can do better About our online Service 24 hours online to solve any problem . 1. Are you a factory or trading company9 We are the leading factory of Meat Machine in China. 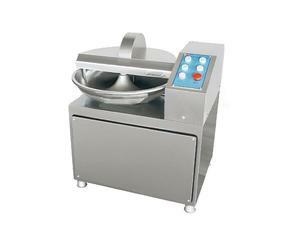 Alibaba.com offers 5,214 meat chopping machine products. About 47% of these are meat bowl cutter, 13% are other food processing machinery, and 1% are vacuum packing machines. A wide variety of meat chopping machine options are available to you, such as free samples, paid samples. There are 5,202 meat chopping machine suppliers, mainly located in Asia. The top supplying countries are China (Mainland), Hong Kong, and Nigeria, which supply 99%, 1%, and 1% of meat chopping machine respectively. 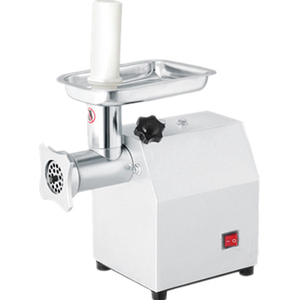 Meat chopping machine products are most popular in North America, Africa, and Southeast Asia. You can ensure product safety by selecting from certified suppliers, including 565 with Other, 559 with ISO9001, and 59 with ISO14001 certification.